Earnings HQ: FBN’s Diane Macedo breaks down Northrop Grumman’s third-quarter earnings report. Northrop Grumman (NYSE:NOC) reported a better-than-expected 8.3% increase in its third-quarter earnings, as stronger margins lifted the defense contractor amid softer revenue. The company also boosted its guidance for the full year on Wednesday, calling for per-share earnings of $8 to $8.15 and sales of $24.4 billion. Northrop Grumman, the fifth-largest supplier to the Pentagon by sales, previously expected a per-share profit of $7.60 to $7.80 and sales of $24.3 billion. Falls Church, Va.-based Northrop Grumman reported a profit of $497 million versus $459 million in the year-ago period. Per-share earnings jumped to $2.14 from $1.82, while adjusted earnings checked in at $1.97 a share compared to last year’s $1.73. Revenue was down 2.6% to $6.1 billion, with three out of four segments recording declines. Electronic systems was the lone unit with positive sales, logging 4% growth. Analysts projected earnings of $1.82 a share on revenue of $5.96 billion. Operating margin widened to 12.9% from 11.7%. Northrop Grumman said its backlog was $37.5 billion at the end of the quarter. That’s down from $41 billion year-over-year and $37.72 billion for the second quarter. The maker of unmanned aircraft attributed the reduced backlog to lower U.S. budgets, in addition to information systems adjustments of $1 billion. Larger rival Lockheed Martin (NYSE:LMT) also reported stronger earnings and raised its guidance, with Chief Financial Officer Bruce Tanner saying on a conference call Tuesday the impact of March’s automatic sequestration cuts hasn’t been as bad as expected. General Dynamics (NYSE:GD) saw its profit climb 8.5% thanks to improved margins that offset a 1.7% drop in revenue. Even before sequestration took effect, scaled-back defense spending was weighing on the industry’s revenue. Northrop Grumman began streamlining its business several years ago to combat a declining Pentagon budget. And in August, the company agreed to buy the defense unit of Australian flag carrier Qantas in an effort to expand internationally and find alternate sources of revenue. 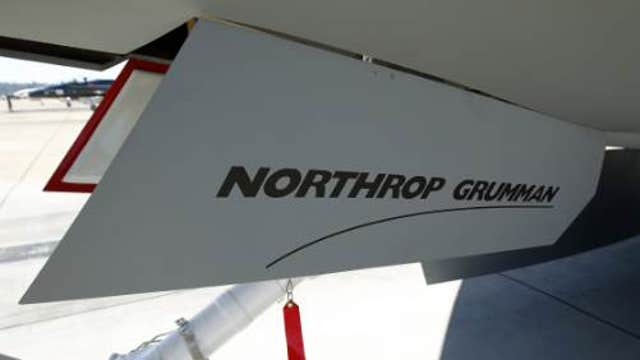 Shares of Northrop Grumman advanced 2.6% to $104.10 early Wednesday morning. The stock was already up 50% as of Tuesday’s close.